Businesses that develop international trade must successfully network with transnational businesses, which in turn connects them with foreign governmental agencies, and global business professionals. Thus, studies of the connectivity between leaders and successful international businesses must continue in order to examine trends in ethics, attitudes and behaviors of the organizations. Likewise, organizational leaders who aspire to gain international success must be strategic in their approach, and mindful of their own ethics, attitudes and behaviors. Societal change, access to information, and international commercial engagement have enabled regional peoples who were formerly economically disadvantaged to have access to income; while such engagement has also shifted income from those who historically were in regions that were economically advantaged. The sheer volume of corporate entities engaged at the international level create incomprehensible pressure on key performance indicators. 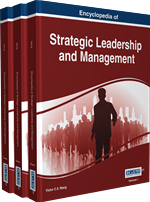 This chapter presents a study of a handful of respected global leaders and their attitude and behaviors. Be documenting the collection of cognitive and metacognitive schemas, a complex construct of global citizen leader was established. Trans-national activists” (Lagos, 2001, p. 6). These global citizen leaders go on global assignments by practicing certain dimensions. The dimensions of cultural intelligence, global competence, social responsibility and global civic engagement may be the basis for the global citizen leaders’ construct. By operating in these dimensions, a person can develop self-awareness, intercultural competence, global knowledge, and learn the importance of involvement in civic organizations and political voice (Morais & Ogden, 2011). Self-confidence enables these individuals to discuss global issues, be flexible, and secure with the knowledge that they may be limited in their understanding. However, as their experience grows, they may start to work with a better understanding of other cultures, develop a deep respect, and empathy toward others who are different than themselves. This development often results in the engagement of lifelong learning, the pursuit of social responsibility, and civic engagement in the world’s societies. This becomes much more than taking a course in global issues, it is becoming culturally intelligent, and then moving into global competence. It is a true commitment, and a strong desire for understanding, working for the greater good of humanity, and desire for personal mastery in a complex world. Through understanding, the world becomes a better place for all. Through education, a strong desire for personal mastery develops, and knowledge of a complex world! In modern times, education may be the key to developing successful global citizen leaders. This not a simple concept, but rather a complex construct, and there is little proven information on what constitutes this new global citizen leader and what determines their success. Therefore, it is important that the education and training covers each category and dimension involving the concept of global citizen leadership; and it is through education and training that attitudes and behavior change. Global economies are connected with the development of the G5, G7 and G20. With this new era of trade, businesses are developing stressors due to competition, while managing performance and cost; societies are changing, with a few having more, and most having less. The globalization of business, massive industrial development, declining resources, means the creation of possible long-term consequences, along with the large benefits (Senge, 1990). The creation of multinational NGO’s may be one of the most important developments in monitoring the governance of this vast industrial development, and bridge a gap between business development and mindfulness and reflection, protecting humanity, and the environment. The next twenty-five to fifty years may bring about a time of great stress with social and ecological stressors on a global scale, demands on governments, organizations, corporations, and educational institutions may be unparalleled to any other time in history (CSIS, 2011). Educational institutions have determined that educating society will result in social responsibility, global competence, and globally civic engaged citizens who are culturally intelligent. “This could be new construct of a ‘global citizen leader’; who will have the ability to bring about solutions for the many of the economic, environmental and governance issues that face all societies” (Karlberg, 2010, p. 1). Cultural Intelligence: The ability of an individual to understand, function, and manage effectively in diverse cultural settings ( Ang et al., 2007 , p. 337). Global Leadership: An emerging group of professionals that are adept at operating in international and multicultural contexts ( Mendenhall et al., 2008 ). Global Competency: Being open minded and seeking to understand other cultures and cultural norms. Global competence is leveraging knowledge by interacting, communicating, and working effectively outside one’s environment (Morais & Ogden, 2010 AU50: The in-text citation &quot;Morais &amp; Ogden, 2010&quot; is not in the reference list. Please correct the citation, add the reference to the list, or delete the citation. ). Global Citizen: Understanding the inter-connectedness of the global issues and how local behaviors have global consequences (Morais & Ogden, 2010 AU46: The in-text citation &quot;Morais &amp; Ogden, 2010&quot; is not in the reference list. Please correct the citation, add the reference to the list, or delete the citation. ). Social Responsibility: Serve the greater good and look to service and address global issues (Morais & Ogden, 2010 AU51: The in-text citation &quot;Morais &amp; Ogden, 2010&quot; is not in the reference list. Please correct the citation, add the reference to the list, or delete the citation. ). Global Civic Engagement: Global civic engagement works to advance global issues and is correct action, collaboration, and expression in the global community (Morais & Ogden, 2010 AU49: The in-text citation &quot;Morais &amp; Ogden, 2010&quot; is not in the reference list. Please correct the citation, add the reference to the list, or delete the citation. ). Global Citizen Leaders: Understanding the inter-connectedness of the global issues and how local behaviors have global consequences, and having empathy for the community, consumer, and stakeholders that are impacted by a company’s decisions (Morais & Ogden, 2010 AU47: The in-text citation &quot;Morais &amp; Ogden, 2010&quot; is not in the reference list. Please correct the citation, add the reference to the list, or delete the citation. ; Green, 2012 AU48: The in-text citation &quot;Green, 2012&quot; is not in the reference list. Please correct the citation, add the reference to the list, or delete the citation. ).